"Mandala of the Five Elements"
Original painting in acrylic and mineral pigments on cotton, painting size 25x25cm, in wooden frame with glass. The painting is decorated with pure gold. 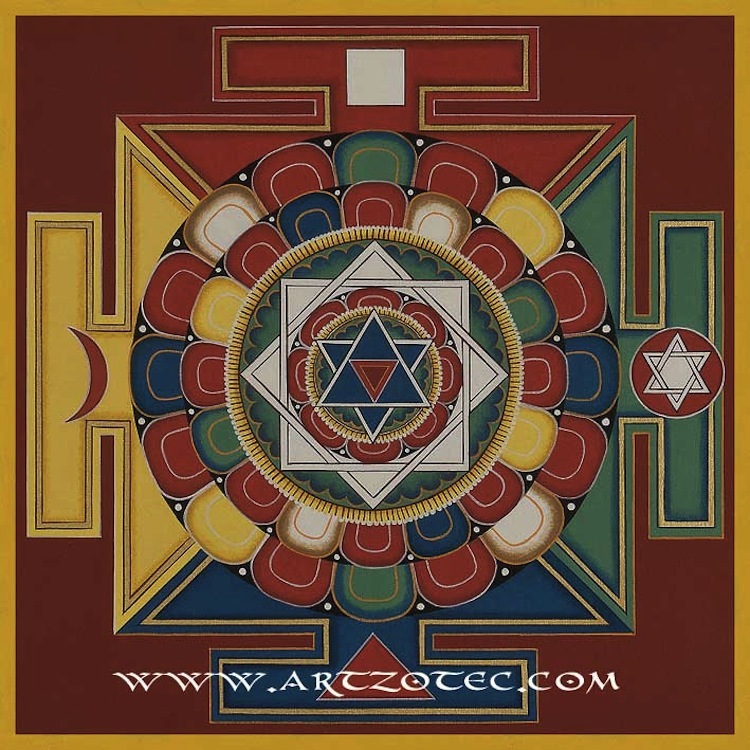 This Mandala is a copy of a 16th century image used in Ayurvedic medicine to understand the relationships between the five elements - Earth, Water, Fire, Air and Space (Ether) - each element corresponds to a colour and to one of the five Skandhas (basic aspects of human nature). The diagram is used to aid the diagnosis and treatment of illness and imbalances.